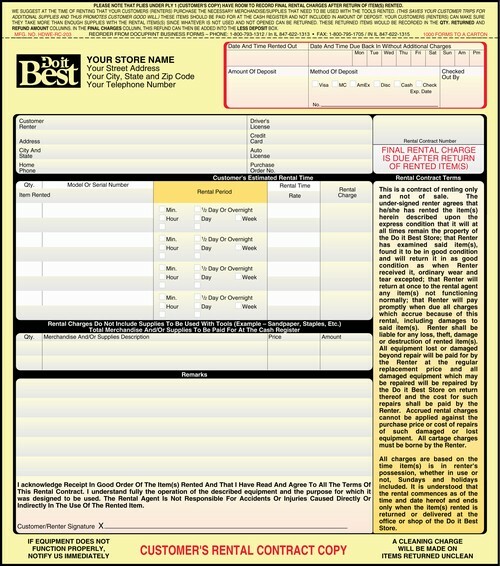 Dimensions: 8 1/2" x 9 5/8"
Forms are prenumbered during production so you need not specify a starting number. You will receive the next sequential numbering in stock. All prices shown are your NET prices and include your store personalization and include your Do it Best or custom logo in black ink ($35 one time charge for custom logos). 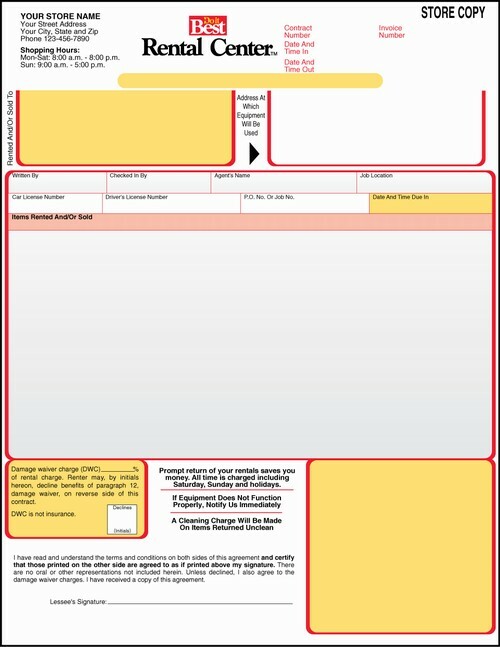 Dimensions: 8 1/2" x 11"
Laser Rental Contracts come collated in a sequence of white, yellow with or without your store personalization. All prices shown are your NET prices and include your store personalization. Also Available In Open Heading Design Without Do it Best Logo. We Can Print Any Store Or Custom Logo With Your Store Personalization In Black Ink ($35.00 one time charge for custom logos). White vinyl material that is laminated to give you a durable outdoor label. Apply to rental equipment/machinery. 100 labels per roll.